honorCode is training nine (9) teachers at Brown Middle School in 2018. 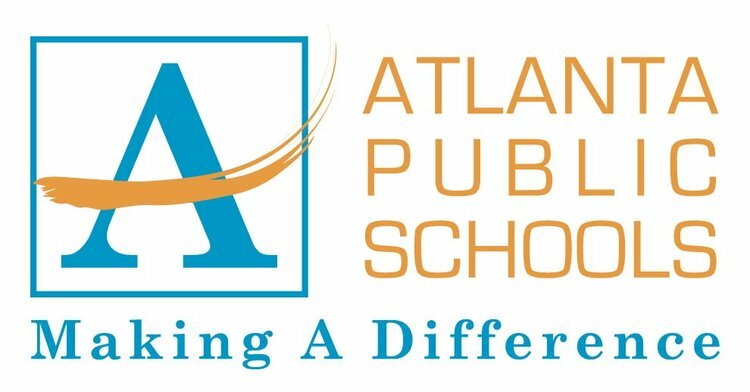 Mrs. Tiuana Crooms is a proud product of the Atlanta Public School System and graduate of Frederick Douglass High School. Mrs. Crooms is knowledgeable of the public school systems curriculum dynamics and has embraced leadership through instructional and strategic-based guidance. She taught language arts in middle school for three years and high school english for seven years before moving into school administration. Mrs. Crooms is embarking upon her 10th year as an educator in the Atlanta Public School System and currently serves at as the principal of the Joseph E. Brown Middle School. Mrs. Crooms began her experience as an instructional leader as the first African American Assistant Principal in Paulding County at East Paulding High School. In the fall of 2009, Mrs. Crooms returned to Atlanta Public School System as the Washington High School Assistant Principal. The following year she became the Principal of Booker T. Washington High School Senior Academy. As a result of Mrs. Crooms outstanding governance, expertise and leadership, Tiauna was then appointed as the Principal of Carver School of Technology. honorCode is training six (6) teachers at Washington High, aligning the Computer Science pathway to the Brown Middle curriculum. Dr. Wilson is a veteran high school principal with extensive experience in School Turnaround. During her first year in Atlanta Public Schools (at Washington High) the school’s graduation rate improved from 67.4% to 76.8% (+9.4%). Washington was also removed from Georgia’s list of high priority schools due to increased student academic achievement. One of the most notable gains was a 97% pass rate on the Georgia High School Writing Test during the 2014-15 school year. Under Dr. Wilson’s leadership, Washington recently increased their CCRPI score by 14.9 points (Spring 2017). Dr. Wilson has presented at local, state and national education conferences. Her passion is mentoring new and aspiring principals. honorCode is training twelve (12) staff at Boys and Girls Clubs of Metro Atlanta in 2018. Virginia Ruiz Lawley is the Senior Director of Teen Services with Boys & Girls Clubs of Metro Atlanta (BGCMA). She has worked on and off for BGCMA since 1985, seven years during this tenure. She is a graduate of Kent State University with degrees in Political Science; Criminology and Juvenile Delinquency Studies; and Education. Ms. Lawley is passionate about creating dynamic teen programs with educational and real-life applications. Currently, she and the BGCMA Teen Services team focus on strengthening future readiness programs with an emphasis on workforce development. She and her team have developed a strategy that is proving successful for preparation for jobs and placement in opportunities in jobs and internships as well as assisting teens in career and post-secondary learning placement. She has served as a local, regional and national trainer and facilitator in youth development. She is the mother of two sons and an active tennis player and cyclist. honorCode is training all eight (8) of the educators at Resurgence Hall in 2018. Tori Jackson Hines, Founder and Executive Director of Resurgence Hall, is an educator with 10 years of experience in a variety of urban school settings and educational non-profits. She has experience teaching, leading, and coaching in elementary schools, in general and special education settings, in Los Angeles, CA, Brooklyn, NY, and Atlanta, GA. As a classroom teacher, Mrs. Hines led her students to surpass local, district, and state averages on the California State Test and was awarded the Academic English Mastery Program award (AEMP) for distinguished instruction in support of English Language Learners (ELLs). As lead teacher in New York her students averaged 1.7 years of growth in reading as measured by the nationally normed TerraNova reading assessment. While in New York, she earned an MS in Neuroscience and Education from Teachers College Columbia University where her thesis, Creating Creativity – Constructivism and Divergent Thinking Moving Beyond Hemispheric Asymmetry and its Application in Education has informed innovative components of Resurgence Hall. Most recently, Mrs. Hines earned a Fellowship with Building Excellent Schools, a highly selective Fellowship that trains school leaders to lead charter schools in high-need urban cities around the country. Mrs. Hines holds a BA from the University of Maryland, College Park, MA in Elementary Education from Loyola Marymount, and MS in Neuroscience and Education from Teachers College Columbia University. 115 Martin Luther King Jr. Dr.